Police has released Vivian Nakaliika Sserwanjja, the wife of NBS journalist Solomon sserwanja, and three journalists attached to the British Broadcasting Corporation (BBC). The three BBC journalists are: Godfrey Badyebe, Kasim Mohammad and Rashid Kaweesa. The four people let out of jail walls were all released on Police Bond. The three journalists attached to the British media giant were arrested in connection with an investigative story they were working on alongside Solomon Sserwanja, reportedly with the aim of bursting how government drugs are stolen and sold off on the black market. According to government Spokesperson Ofwono Opondo , Kampala Metropolitan Police commander Moses Kafeero was concerned that the investigative story about the theft of government drugs Solomon and colleagues were working on was going to cause embarrassment to the government. 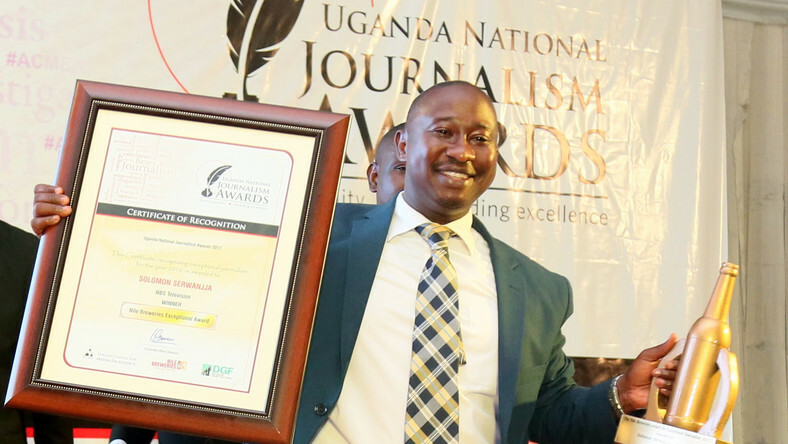 While according to the Kampala Metropolitan Police Spokesperson, Patrick Onyango, the journalists were arrested after a tip-off that they were in possession of stolen government drugs. Solomon Sserwanjja’s wife was on her part arrested after samples of the said stolen government drugs were found at her home, a moment at which her husband Solomon had already fled into hiding –reportedly after he had been tipped-off that Police was going to arrest the journalists who were conducting the ‘stolen drugs’ investigation. Mrs. Sserwanja and the three BBC journalists have been released after almost twenty-four hours behind bars. There are sections of the public which are of the view that the arrest of the journalists was an attempt by the ‘corrupt thieves who steal government medicine’ to strangle the news report that should expose them.